Ask a Christian about Adam and Eve, and inevitably they'll tell you the first human pair were "perfect", created by God as flawless human beings who were free from sin, and not lacking in any way. Problem is, the word "perfect" is not found anywhere in the Garden of Eden account, in either the original Hebrew, or in any English translation. Jews (who wrote the story, and who's Holy Book the story is from) have NEVER viewed Adam and Eve as anything but perfectly-flawed mortals, just like you and I: thus Judaism has never accepted the Christian doctrine of Adamic 'original sin'. Amongst many other reasons, this also explains why Jews never exactly saw a need for atonement from Adamic sin, since in Judaism an individual's sins MUST be personally-addressed by the sinner, after they demonstrate a proper spirit of repentance and seek atonement through sacrificial offerings to God. Jews thus don't see a need for Jesus 'redeeming' mankind with his 'perfect' blood sacrifice, since per normative Judaism, forgiveness of Adam's sin of disobedience could ONLY be requested BY Adam, himself, AFTER he repented and made a guilt offering to God, asking for forgiveness. Furthermore, per normative Judaism, ALL sins are cancelled upon the death of the sinner, whereupon the 'sin ledger' is settled; their debt to God is rendered as 'paid in full'. Of course, the Genesis account doesn't mention Adam performing any such ritual, and obviously Adam is long-since dead. Remember too that in the latter part of the 1st millennium BCE, a debate was raging between those Jewish rabbis who believed in the principle of 'inheritable sin' and those who didn't (as reflected in scriptures saying that sons are not responsible for "the sins of their fathers", as seen in Isaiah). The latter idea prevailed in mainstream Judaism, and the former idea was common amongst a small cultic off-shoot of Judaism which evolved into a group which came to be known as 'Christianity'. If it's not clear from all of that, Jewish rabbis are likely to interpret the story of Adam and Eve very differently than a Christian might, and a Jew would claim Christians are engaging in rampant speculation (AKA 'textual eisegesis), inserting one's desired doctrinal interpretation into the text. It's a practice that is unlikely to convey the original author's intended message. So which is it: were Adam and Eve "perfect" as Christians claim, or "imperfect", as Jews believe? Let's see if we can unpack this issue, taking it one step at a time, analyzing the Christian interpretation of the account and tentatively-accepting the premise that Adam and Eve were "perfect", just to see where it leads. "Do not eat the fruit of the Tree of Knowledge of Good and Evil". But just like that itch you can't help but scratch, we all know what happened next: a certain rule was broken when forbidden fruit was consumed, a certain deity got angry, curses were made (with legs and green thumbs confiscated), the first pair were expelled from the Garden of Eden, with their path to re-entry blocked. However, an important element often overlooked by many readers of the account is the critical reason Eve perceived the fruit as being "desirable to eat", in the first place. Now sure, it's fun to engage in rampant speculation about what the forbidden fruit promised to bestow to anyone who ate it, e.g. some Christians will create clever hypotheses, saying the fruit would impart experiential knowledge of the World, or grant them intellectual capabilities and secular knowledge, etc. This is much like the Greek story of Prometheus stealing fire from Zeus to give to humanity, with fire as a commonly-understood symbol for 'intellectual knowledge', being a highly-valued trait within ancient Greek culture. So, did you get the answer right? Or did you only get 2 out of 3? In fact, let's all list the THREE REASONS given in Genesis 3:6, one by one, which explains WHY the woman desired to eat the fruit. 3) DESIRABLE FOR GAINING WISDOM. Now, which ONE of those reasons is unique and magical, and literally is an eye-opener (pun intended)? Sure, it's the THIRD, the only UNIQUE and TRULY FANTASTIC (supernatural) reason which entices Eve with something that she cannot obtain by eating the fruit of any of the other trees in the Garden. The "wisdom-bestowing" properties should jump right off the page at you, since last time I checked, "Wisdom fruit" isn't stocked at the local grocery store (and it's a 'special-order only' item at your local Whole Foods store)! So per the narrator, the last reason explains why Eve saw the forbidden fruit as particularly-desirable to eat: it promised to make her and Adam wise. And what exactly does the word 'wise' mean, anyway? Remember that throughout the Bible, wisdom is considered as a valued trait to possess, being the 'fuel' used by one's conscience (AKA moral compass) to make independent MORAL decisions. Wisdom is required in order to make wise (or at least, non-foolish) moral choices. There's a significant distinction to be made between 'moral knowledge' and 'intellectual knowledge' (i.e. the capability to memorize facts and figures, carry out math calculations, read and write, etc., all of which are behaviors associated with being "smart"). Intellectual knowledge is the type portrayed in the Greek legends of Prometheus stealing God's 'fire' (as described above), but that's not what we're talking about in the Genesis account. Ancient Hebrews were fully-aware of the difference, having many encounters with intelligent pagans whom nevertheless they viewed as being morally-bankrupt, e.g. the Greeks worshipped an amoral pantheon of Gods, headed up by philandering Zeus who wasn't considered by Greeks as any kind of moral authority. The Jews claimed the moral high-ground, believing in a Jehovah, a God who possessed superior morality and who even gave His wisdom to humans who asked for it politely (and didn't just shop-lift it, like Eve did). And if you're still in doubt on this point, you only need consider that the forbidden fruit that promised to bestow wisdom ('moral knowledge') was growing on the 'Tree of Knowledge of Good and Evil', where 'good' and 'evil' BOTH clearly are referring to MORALITY. So here's a 'moral tree' that produces fruit which bestows moral knowledge, so they will possess an inner sense of morality, understanding the difference between right and wrong. Throughout the Bible, humans who are in want of wisdom are consistently described with the antonym of 'wise', 'fools', where 'wise' and 'fool' constitute a word-pair that often appear together in scriptures to compare and contrast these personality traits. It's so common, if fact, that Bible scholars have given a name to this Biblical literary device: 'merism'. See what they did there? Notice anything missing? What are the THREE reasons given in the NWT? 3) Desirable to look upon (it looked especially tasty and pretty)! The NWT completely DROPPED the 3rd reason, simply rephrasing the 2nd, and repeating it! They removed the MOST-IMPORTANT and TRULY-UNIQUE element which explains why Eve ate the fruit, in the first place! In doing so, the NWT's rendition implies Eve desired the fruit, simply for desire's sake, and NOT to gain wisdom. The account is thus significantly altered by errant translators, seemingly driven by a desire to depict Eve in a misogynistic light, as if a silly and hedonistic Eve was (like all women) attracted to the pretty fruit for its ornamental value (the sexist stereotype being women are attracted to shiny bangles, baubles, and beads, portrayed as shallow vapid creatures who desire shiny jewelry which makes them feel 'special'). Eve is thus painted as a shallow hedonist, even as the 'prototype of a "material girl". So the translators completely ignored and discarded the Hebrew word for wisdom, just so readers wouldn't know Eve was actually seeking to GAIN WISDOM which God's forbidden fruit promised to deliver. The translators transformed Eve from a courageous mother of all humankind who's act gave all humanity wisdom, and instead turned her into a shallow bimbo. It's interesting to note that almost EVERY OTHER MODERN TRANSLATION doesn't similarly botch the passage. And 'wisdom' is NOT an easy word to lose in the fog of translation, so it's safe to conclude the word's omission is no accident, but is deliberate, intentional, discarding the troublesome phrase (which IS found in the ALL Hebrew versions of the account, whether it be the Samaritan or Masoretic texts, or the Dead Sea Scrolls). The translation team seemingly was attempting to suppress the problematic nature of Eve's quest for wisdom by simply sweeping it under the rug. Of course, such suppression eliminates the reader from ever realizing God is explicitly forbidding mankind from seeking and possessing wisdom. So how did this happen? How did the NWT make this egregious translation error? 25.1.1 … This crucial verse fragment, “and that the tree was to be desired to make (one) wise”, is missing from both the (Greek) Septuagint and the (Latin) Vulgate. The Hebrews who translated this verse fragment altered it to read, “and beautiful to contemplate.” The deliberate Septuagint error is translated in the Vulgate as “and delightful to behold.” This is a very serious corruption of the original story. Why the Septuagint translators choose to introduce this deception is not known. For this single passage, the WT IGNORED ALL other translations (which used 'Hebrew to English' translations, e.g. the King James Version), and instead relied upon the flawed Septuagint ('Hebrew to Greek') translation to derive a similarly-flawed 'Greek to English' translation, thus 'cherry-picking' from the Septuagint's prior mistake. That's CLASSIC 'propagation of error', and it looks here to be done intentionally to deceive readers (and to support the JW's desired doctrinal interpretation). Whatever the excuse, it's flat-out dishonest scripture-twisting, whether it's done by the Hebrew translators of the Septuagint 2,200 yrs ago, or 60 yrs. ago by the translators on the NWT team who were relying on a prior-known error. But let's set that translation error aside for a moment, shifting gears to focus on the moral issues raised by the suppressed element of Eve's quest for wisdom which appears in the Hebrew language account. As stated previously, the Old Testament frequently relies on the use of merisms, contrasting words that have the exact opposite meaning (eg 'wise' and 'fool', as found in Proverbs). The logical implication is that if Eve saw the fruit as "desirous for gaining wisdom", God originally created the pair as LACKING in wisdom, since people don't desire a trait they already POSSESS. "They have become like us, knowing good and evil". Hence they clearly weren't the moral equivalents of the Gods before eating, and presumably not even the moral equivalents of us, their children who enjoy the benefits (morality) and burden (death) of their disobedience. Hence a properly-translated version of the account suggests God created the first pair as lacking in wisdom, being morally-incapacitated, and thus unable to reliably make sound independent moral decisions. But to make matters even worse, with his ONE Divine Commandment prohibiting them from eating the fruit, God was preventing the pair from GAINING or POSSESSING wisdom, as if God were sentencing them to permanently remain in their foolish state, after He intentionally created them to be that way (God even surveyed His work afterwards, declaring his human creations as "very good", in Genesis 2). And since Christian theology holds the first human pair were living in a "perfect state" BEFORE the fall, the implication is God seemingly wanted them to remain as "perfect": "perfect fools". Remember, Adam and Eve's fall from "perfection" is the entire basis justifying the need for redemption and atonement for Adamic 'original sin', fully repaid by the "perfect" blood sacrifice of Jesus. But if the pair weren't created as "perfect" (lacking in wisdom) such that Eve coveted the fruit, something doesn't quite add up in the Christian interpretation of the account, does it? One of the Ten Commandments is, "Thou Shalt Not Covet", considered by God to be such a great sin as to earn special mention on God's "Top Ten list" of sins. But since Eve supposedly was "perfect" BEFORE eating the forbidden fruit, then how could she carry out the sinful thought-crime of coveting (i.e. desiring) something that didn't belong to her? This was God's fruit, "the fruit of the Gods"? Since coveting was later declared to be sinful, that fact would imply Eve sinned even BEFORE eating the fruit, simply by coveting it. Does that sound "perfect" to YOU, for how could supposedly "perfect" Eve commit the later-declared sin of coveting God's fruit? The serpent appears in Genesis 3:1, and is eisegetically-interpreted by Christians as being possessed by Satan, who hijacked the body of the clever talking animal (and presumably it talked with Eve before, presumably why she wasn't startled by a talking snake). Genesis 3:1 tells us that the serpent was made by God to be 'arum', a Hebrew word translated as 'crafty', 'clever', or 'cautious' in most translations; the same word is even rendered as 'prudent' in other passages of Christian Bibles, although such a translation choice for Genesis 3:1 is not going to fly, describing Satan as 'prudent'! God's creating the serpent described as 'prudent' or 'wise' would be a 'red flag' pointing to Christian scripture-bending of the Genesis account: this is certainly why many Christian translations use a less-problematic word choice for the translation of 'arum' (e.g. 'crafty'). But whatever word you use, YHWH is still suggested as having made the serpent possessing more "brain-power" than all the other animals, and arguably even craftier than the foolish human pair: the talking serpent was able to deceive foolish Eve into eating what she already coveted! Of course, coaxing a fool into doing something they already wanted to do is literally easier than stealing candy from a baby. So it turns out the magic fruit worked as advertised by both God and the serpent, since the account states, "their eyes had been opened, knowing good and evil". As God Himself acknowledges, the first pair gained wisdom and attained moral equivalency with God and other spirit beings by stealing wisdom, in direct disobedience of Jehovah's Divine Prohibition. God presumably intended wisdom to be for His exclusive use (or at least, God wanted the privilege of doling out wisdom to humans as He saw fit). How would Adam and Eve understand the 'wrongness' of disobeying YHWH's Divine Prohibition if they were LACKING in wisdom BEFORE they ate the wisdom-bestowing fruit? How were Adam and Eve expected to be able to exercise their internal "moral compass" (conscience) to understand the wrongness of disobeying God's commandment, when their conscience was out of the 'fuel' (wisdom) needed to make any independent moral decisions, in the first place? How would you answer that one? So THAT'S "the Paradox of Adam and Eve", the irresolvable continuity error embedded within the account which many generations of readers have overlooked (probably since few stop to actually think about what they read, esp. if they WANT it to be true, just as Eve let her foolish desires over-ride her rationality). Don't feel bad if you're never noticed this conundrum before, since you just may have been reading a Bible translation that deliberately deleted important words from the account to remove vital clues that might've allowed you to spot the paradox for yourself. If you're a JW, the NWT removed the words for you, just so you wouldn't have to worry your pretty little head over having to deal with the psychological discomfort of experiencing any cognitive dissonance. Humans are known to be pre-disposed to simply repeating anything they hear without question, if it sounds reasonable to them; Jehovah's Witnesses are no less immune, often repeating mantras that sound reasonable to them on first-pass, but the ideas collapse when examined under the harsh light of scrutiny if only given a moment's thought. "God didn't want to make humans as robots who HAD to love and obey Him, so He gave them the gift of FREE WILL". We've ALL heard (or even said) that one before, right? If you DID (and I'll admit to having said it: guilty as charged), it is only confirming you really don't understand the difference between God's Divine Will and man's 'free will': it indicates you understand NEITHER. So let's back up and review these concepts, since understanding what 'free will' means is necessary in order to fully understand the Adam and Eve account. First off, the term 'free will' is pretty easy to grasp: the first word ('free') refers to making a decision free from coercion, without anyone else trying to influence your decision in either direction. The second term ('will') is simply an expression of one's own wishes, preferences, or desires. Taken together, a 'free will choice' is a decision made without attempts by others to bias the decision, being free of offering inducements (rewards) or disincentives (punishment). That's not hard to comprehend, and it's simply what the phrase means in the context of philosophical, religious and legal discussions, even reflected in legal documents, e.g. a 'last WILL and testament' ("I Roger Smith, being of sound body and mind, and of my own free will, without coercion, leave all my Worldly possessions to..."). 1) God's Divine Will, expressed whenever God issues a commandment (e.g. "Thou Shalt Not Do X"). Per the Bible, compliance with Divine Will is NOT optional for humans, but MANDATORY: God doesn't give humans free reign or permission to 'sin' (broadly-defined as any action contrary to God's Expressed Will). If God has NOT expressed His Divine Will on an issue, but has instead remained mute, ONLY THEN is mankind free to exercise their free will after contemplating, praying, and using their 'Bible-trained conscience' to decide the proper course of action, making the choice which they think God would look upon most-favorably. Thus, man's free will is ONLY to be used in situations and issues where God hasn't already expressed His Divine Will, since if God has already given a law (eg Levitical Law's, "Don't mix wool with cotton"), then God's will ALWAYS trumps mankind's use of free will: compliance with Divine Will is MANDATORY (and you don't wear blends). To their credit, the WTBTS is careful to distinguish between the phrases, "free will" and "freedom of choice", where the former indicates man's ability to decide amongst options that are FREE of consequences (whether punishment or reward) since God has remained tacit on the issue; the latter term refers to making a choice to commit an action that violates God's Divine Will, but the choice is NOT made with any reasonable expectation of avoiding punishment for disobeying God's law, since the person knows he will have to face consequences for his disobedience. Also, free will is not something that man is "made with" or somehow "given" (as if free will is the collection of neurons inside the brain that allows humans the capability of self-determination). Instead, the extent of man's free will domain, i.e. the decisions he is authorized by God to make on his own, is directly controlled and determined by God, being determined by the ABSENCE of expressed Divine Will. Rephrased in plain English, the ONLY way God gives mankind a gift of free will is simply by NOT expressing a bunch of "Thou Shalts" and "Thou Shalt Nots"! Free will is given to mankind by being allowed the room and permission to decide issues for themselves, and NOT by God declaring a bunch of Divine laws which MUST be followed. It an issue of humans having been given permission to decide an issue for themselves, and not so much about possessing the capacity to decide to act independently. Free will is given to mankind by being given God's PERMISSION to decide the issue, simply by God remaining mute on the issue. Therefore, there's a teeter-totter relationship between God's Divine will and mankind's free will: as the domain of one grows larger, the size of the other grows smaller by the same-exact amount, where the decisions God allows mankind to make decreases whenever God expresses HIS will. So applied to Adam and Eve, before the Divine Prohibition was spoken by God, ALL decisions were under Adam's free will domain; after God spoke the rule, ALL decisions EXCEPT THAT ONE were under Adam's free will domain. More specifically, Adam and Eve didn't HAVE God's permission to exercise their free will when it came to that ONE decision, alone: they HAD to comply, or face the consequences for their sin, facing being punished by God. So it should now be obvious why the meme, "But God didn't want to create robots who HAD to obey Him" is false: God HAD expressed His will, and compliance WAS mandatory, since they HAD to obey or face punishment (for themselves AND for you and I, if your believe Adamic sin is inherited). How did you INITIALLY make an INDEPENDENT MORAL DETERMINATION that God's morality IS in fact superior to yours, without relying on your "horribly flawed" internal moral compass? How did you make the moral determination of handing over the reins of one's moral decision-making capabilities to God, without relying on one's internal moral sense (which they just admitted is horribly-flawed)? Hmmmm, might THAT decision to trust God's morality as superior to theirs be FLAWED, since it was made using their "flawed" moral compass? The fundamental problem is we cannot determine the morality of another entity WITHOUT relying on our OWN internal moral compass to make such a determination, since we're ALL independent moral entities. The same issue also arises in situations where although God may have clearly expressed His will in the Bible, the ability to recognize WHICH Biblical commands apply to any given moral dilemma encountered in life requires making an independent moral determination, i.e. you still must rely on your own moral sense to decide when and where God's laws are to be followed. That's the 'fly in the ointment', since we all know of situations where ministers and pastors engage in debates over the applicability of a given scripture to any given situation, and few can agree on what the passage means, or when it applies, etc. Hence why there's over 10,000 denominations of Christianity, alone. And such is the case with Adam and Eve's understanding of the 'wrongness' of eating the fruit, since they didn't POSSESS the wisdom required to fuel their conscience, lacking in the wisdom needed to truly understand the consequences of disobeying God in the first place! Their conscience was running bone-dry of wisdom, since the fruit hadn't yet been consumed when they made the decision to eat: they didn't yet possess the capability to know it was evil to disobey God. So saying they had the 'freedom to choose' to disobey completely overlooks that they were deciding as FOOLS, in a morally-impaired state; they were operating under what modern psychologists would refer to as a state of 'diminished capacity'. The often-heard comparison of Adam and Eve to children is actually quite valid, since infants seemingly lack shame and self-awareness of their nakedness, running around free of inhibitions, without a care in the World. Children also act rashly, without thinking of the consequences of their impulsive actions. A child's lack of capacity of forethought explains why modern law recognizes the concept of minors' not being fully-liable for their actions; most societies UNDERSTAND children lack sound judgment, and we EXPECT THEM to BEHAVE like children! Acting impulsively is perfectly-normal, quite-expected behavior for children. In punishing adults who commit crimes, society recognizes a 'diminished capacity' defense, where those diagnosed as sociopaths or psychotic are not fully criminally-liable for their actions by reason of insanity (and instead of being sent to confinement within the general prison population, they're incarcerated in a prison where mental-health services are available). The Adam and Eve account actually supports a 'diminished capacity' defense, since the story offers vital clues (eg they only understood the 'wrongness' of their actions only AFTER eating the fruit, once their "eyes had been opened"; they tried to cover their nakedness by fashioning crude garments out of leaves, and tried to hide from God once they became aware of the wrongfulness of disobeying God afterwards, even trying to hide from punishment). Hence the account itself suggests they only realized it was wrong to disobey God AFTER gaining wisdom, only then realizing they had screwed up big-time. But they weren't aware of the wrongness BEFORE, since the decision to eat was made when they were in a fog, not fully-conscious of the implications. The account actually depicts God as having originally MADE them AS ROBOTS, morally-blind and expected to follow His orders without using their own moral judgment. In fact, one could even say they were made as "bad, imperfect robots" which apparently were unable to perform up to their designer's unreasonably high expectations, and didn't work as desired by God. "Perfect" God screwed up, since 'being perfect' suggests producing "perfect" products: it's impossible to explain how things could get off-kilter so quickly when the Earth's population was only 2, and one of the "perfect" spirit beings deceived the inferior "perfect" human fools to eat the coveted wisdom fruit. It's worth mentioning some defenders of the account will cite Eve's parroting of the rule back to the serpent as proof that she somehow knew eating it was wrong. Apparently these people have never dealt with children before, who will parrot a rule they're not supposed to break, but will break it anyway within minutes, since they haven't actually comprehended and internalized WHY they should obey their parent's rule. Of course, some children seemingly have to learn lessons "the hard way", experiencing the consequences and punishment in order for the 'lesson' to sink in. That's the typical JW defense for God's actions in the Adam and Eve account, as if God is showing a form of "tough love". However, for God to exact death and pain on ALL subsequent generations of humanity is more than a tad of an over-reaction, condemning ALL men to death for Adam's sin; that shows a strong preference for teaching lessons via punishment after placing a pair of fools in an unwinnable scenario, AKA Divine Entrapment. As written, the story reads more like a Divine 'trip and fall' set-up that's perpetuated on some grocery store to threaten them with a fraudulent lawsuit, hoping to force the store to settle out of court to avoid the expense and headache of mounting a legal defense to defend against the fraudulent claim. As clever as the account is, this plot device is hardly original or unique to the Hebrew authors of the Genesis account: it's actually a classical motif, commonly found in Greek tragedies, where the protagonist realizes the folly of their action (hamartia), but only AFTER it's too late to do anything about it (anagnoris, defined as "a tragic recognition or insight which explains why the character is in their current predicament, and have no choice but to accept their fate"). The story also shows CLASSIC examples of elements of Greek dramatic foreshadowing (eg Genesis 2:25: "And the man and his wife were both naked and were not ashamed": notice the extraneous mention of their lack of shame, serving as foreshadowing of their later emerging of their sense of shame, AKA guilt, self-awareness of having done wrong, the tell-tale sign of exercising independent morality). It seems the author of the Genesis account was a big fan of the style of Greek tragedies, since he incorporated many of those same elements into the story to blend them with other well-known pre-existent Mesopotamian and Egyptian myths (it's likely he had been exposed to the form during the post-exilic period, serving alongside Greek and Babylonian ambassadors in the Persian Imperial court who shared the traditional stories of their respective cultures). If God KNEW the first pair were incapable of making wise decisions, then WHY would He place the Tree in the MIDDLE of the Garden, where they could easily get to it and create problems for all of mankind? Remember, God had given the first pair the RESPONSIBILITY to serve as caretakers of His plant and animal creations in the Garden (Genesis 1:26), eg placing animals under their dominion, to "rule over" them. Presumably this delegation would NOT allow for Adam playing elaborate pranks and practical jokes on the animals (cow-tipping was likely not an approved past-time). God is explicitly tasking them with the mission to be responsible custodians over His creations in the Garden. The legal concept of 'responsible custodianship' says that we cannot leave sweet-tasting anti-freeze (ethylene glycol) in open containers where small child and animals can accidently ingest it, since it looks and tastes like Kool-Aid (but is actually toxic and fatal). To do so violates Federal Laws, and results in criminal and civil liability. 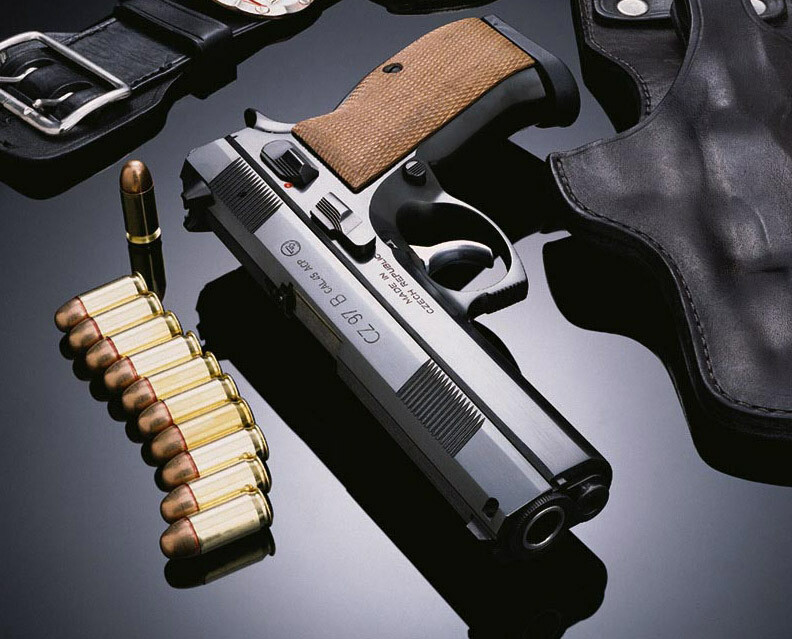 Responsible adults cannot leave unlocked and loaded handguns laying around the house, where small children can play with them. It's just not safe for them AND others, and gun owners are prosecuted if they do. Isn't that OBVIOUS? You wouldn't leave a loaded firearm laying on the floor where toddlers could get to it, would you? So why does God get to violate His OWN principle of "responsible custodianship"? Is this one of those situations where believers say, "might makes right", where God can do no wrong, since He's "God"? 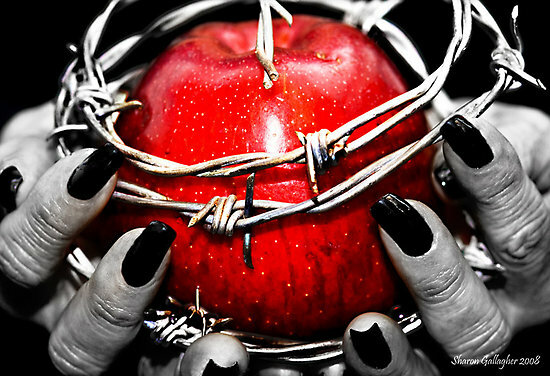 Even the picture at the top of the page depicts a safety measure God DIDN'T take to protect his "children" and his wisdom fruit: it shows barbed wire wrapped around an apple (a common symbol used for the forbidden fruit, although the account doesn't specify what fruit it was). That step WOULD actually discourage (but not eliminate the possibility for) eating. Heck, even putting a few thorny spikes (as found on pineapples) would be a step towards TRYING to protect his "children" from eating the fruit! To make matters worse for God, though, the account later demonstrates that God actually POSSESSED the ability to protect his fruit (and humanity) by blocking access to His beloved fruit-bearing trees, but didn't use it. Remember that immediately afterwards, God posted a cherubim with a flaming sword to protect the Tree of Life? However, there's no barbed wire mentioned in Genesis, and no mention of thorns on the fruit, etc but only evidence of God doing the exact OPPOSITE: as discussed above, God tested their obedience by leaving the desirable fruit in the middle of the Garden. In fact, God actually marketed the tree to them to MAKE IT tempting and DESIROUS, even calling it, "The Tree of Knowledge of Good and Evil". God didn't give it a non-descriptive name (eg 'Cherymoya tree'), but one that seemingly marketed it to them, as if God were some Madison Avenue ad agency trying to drive sales. There's just no other way to spin it, other than God just BEGGING them to eat it, despite the later protestations and denials found in James 1:13 which says God just doesn't do that kind of thing: no sirree! No way, no how! Again, how could Eve have 'evil desire' if she supposedly was "perfect" BEFORE eating? See how the sin is moving backwards in time, where the mere contemplation of disobeying is now defined as a sin? 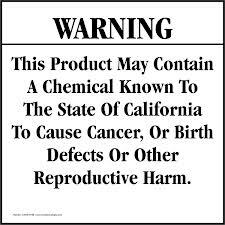 God couldn't hang a tiny sign like this one on the tree, as seen everywhere in California (as required by law)? Ezekiel says we all are judged based on OUR righteousness, hence not condemned based on the sins of our parents. However, Ezekiel's principle directly contradicts the 'doctrine of transferable righteousness' which is depicted in the Genesis account of unworthy Lot being saved due to the righteousness of Abraham (read my 3-part article on 'Lot's depiction in Genesis vs 2nd Peter', where I discuss this doctrine in greater detail, and explain why a rewrite was needed to accommodate evolving Christian theology). Ezekiel apparently wasn't a fan of the doctrine, saying everyone had to stand before God on their own two feet, i.e. based on THEIR OWN righteousness (which reflects the ancient Egyptian belief that each soul stands before Ra after death in order to have their life recounted from the Book of Life, with their hearts weighed before Ra to decide on the fate of their soul). Jesus apparently didn't agree with Ezekiel either, since he HEALED the disabled by forgiving the sins of the parents, which was supposedly God's punishment! As usual, Jews and Christians are insisting on having their cake and eating it too, making claims that contradict earlier claims, not wanting to let any of them go. Hence Christians cite the doctrine of 'inherited original sin' to explain man's mortality (saying that Jesus' sacrifice atones for Adam's sin), but then shift gears to say that God will judge each person based on their OWN righteous works. What a hodge-podge collection of contradictory beliefs, AKA shot-gunning, and hoping no one catches the contradictions. Not that the sign above likely would've protected Adam and Eve: the first pair were intentionally created as fools, and thus likely would've foolishly eaten the fruit anyway, sooner or later, since that's EXACTLY what fools do: they make foolish choices and act like fools, revealing their true nature. Who's the greater fool: the fool who acts foolish, or someone who claims to be wise but expects fools to act any differently than fools? Yeah, I'm going with the LATTER, the entity who THINKS he's wise and constantly brags about his great wisdom, but his actions speak louder than his words ever could. God flew off the handle and acted shocked when they acted EXACTLY in keeping with the way He created them. So God comes off more like that sad Uncle who teases the nephews with the ol' "pull my finger" trick (except God is a much-more sadistic version)! And despite my (simulated) outrage against cruel God, trust and believe I see the account for what it is: it's just an old fable, a Hebraic rewriting and amalgamation of far-older ancient 'origins' myth that were well-known throughout the Ancient Near East, with many Sumerian/Babylonian/Egyptian versions which predate the Genesis account by 1,000 years. The same basic plot can be seen in younger Greek versions you may have encountered in an ancient Literature course, eg Hesiod's story of Prometheus contains a demi-god who stole "fire" (a symbol for knowledge) to help mortals. Throw a dash of Pandora's Box into the broth, and there's your bog-standard Adam and Eve story (Pandora's 'hope' is inserted into the story by Christians who later co-opted the account by claiming it contains the first OT prophetic foreshadowing of Jesus, eisegetically inserting such an interpretation into Genesis 3:16). and you've got another permutation of the same basic timeless story. Parallels are seen in the Sisypean (i.e. never-ending) tasks that were doled out to protagonists as punishment by God(s) for helping mortals: the serpent was cursed to crawl on his belly thereafter, and Adam (the reluctant co-protagonist of Eve and the serpent) was condemned to work the cursed ground until he eventually died. Similarly, Zeus cursed Prometheus to have his liver torn out on a daily basis by an eagle (his liver magically grew back daily, as well). It's the same idea: the God gives out a never-ending punishment, where the Hebrew version explains where human mortality comes from (as well as why women experience birthing pains, are afraid of snakes, etc). The Gnostics (a diverse group of beliefs found within early Christianity) even recognized the protagonist nature of the serpent and Eve, just as Prometheus was viewed as the friend and advocate of humanity by the Greeks; Gnostics saw Adam and Eve as the victims of a cruel trickster God, and just couldn't fathom such a deity as being worthy of worship. That's partly why Gnostics demoted Jehovah to the role of a trickster demiurge (a minor deity who was appointed by a higher God to manage the affairs of the Earth). I suspect the rewording of the Adam and Eve account in the Greek and Latin translations (Septuagint and Vulgate) was done SPECIFICALLY to reduce the obvious ethical issues that contributed to the growth of Gnostic beliefs, and the NWT simply kept up the 2,000 yr old tradition of hiding the flaws in the story that hindered acceptance of Christianity amongst Jews. Hellenized Greek Jews would've seen the obvious parallels to Hesiod, and likely would've objected to the flagrant overlay of Zeus onto Jehovah, and wouldn't buy into the 'original sin' thinking of Christianity without experiencing a bit of cognitive dissonance. Hence the subtle change seen in the Septuagint (which was done for other reasons)suited orthodox Christianity just as well. The Adam and Eve account is contrasted in the OT with the later tale of a young King Solomon who was asked by YHWH in a dream what he desired most as a gift from God: Solomon responded, "wisdom! ", and hence Solomon was granted an extra-generous dollop. The MORAL of the account is that one should ASK before taking: as Jesus said, "ask and ye shall be given". Just don't steal God's fruit: it REALLY pisses Him off! It's as if YHWH wants to play an elaborate game of "Mother May I?" with mortals, where Adam and Eve lost the game and all humanity paid the price (Adam and Eve also were bad at playing 'Hide and Seek' with God, who played dumb with the, "Adam, where are thou?" line. It's admittedly hard to win, when the guy you're trying to hide from is omniscient and ALREADY KNOWS where you are hiding)! In contrast, King Solomon was a Champ at the "Mother, May I?" game, since he asked BEFORE taking (where stealing wisdom would be admittedly hard for him to do, since the Tree with the magic fruit of wisdom had been removed from the Earth by God long before Solomon came along). At any rate, it's absolutely crazy how many people build their lives and base decisions around these ancient persistent myths. Seriously, is this Bible thing some kind of an inside joke, where a few of us just didn't get the memo? I almost expect camera crews to jump out from behind the bushes any minute, with Ashton Kutcher saying we've all been punk'd!